Callaway Great Big Bertha Epic 15 Degree 3 Wood HEAD ONLY EXCELLENT !! 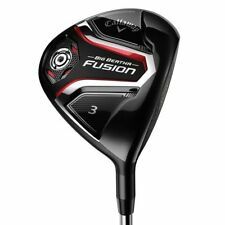 Callaway Big Bertha Steelhead III Fairway Wood Golf Club. STEEL/RH. Callaway X2 Hot 3-Wood is new. It features a Grafalloy ProLaunch Red shaft with a Velvet Style grip. Manufacturer: Callaway. Model: X2 Hot. Shaft Material: Graphite. Shaft Flex: Stiff. Dallas Golf wants to buy your used clubs! Model: XR16. Manufacturer: Callaway. Shaft Flex: Stiff. I am not in this to make a quick buck. I am human, and I make mistakes. I occasionally miss a stain or hole. With that being said, it is subjective. 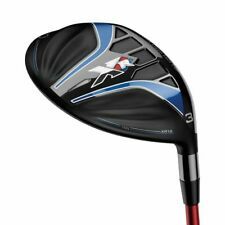 Callaway X2 Hot 3-Wood is new. It features a Fujikura Motore 6.3 Tour Spec shaft with a Velvet Style grip. Manufacturer: Callaway. Model: X2 Hot. Shaft Material: Graphite. Shaft Flex: Regular. Dallas Golf wants to buy your used clubs! Callaway 2018 Rogue Fairway 15 3 Wood in mint condition. Has never hit a golf ball. Project X Even Flow Blue 75 gram 6.0 stiff flex graphite shaft with Golf Pride MCC Plus4 midsize grip. Original Rogue head cover is included. IT HAS AN UPGRADED FUJIKURA VISTA PRO 65 STIFF FLEX GRAPHITE SHAFT AND A GOLF PRIDE Z GRIP. THIS CLUB IS USED AND IN GOOD TO VERY GOOD CONDITION. Callaway 2018 Rogue Fairway 19 5 Wood in mint condition. Has never hit a golf ball. Project X Even Flow Blue 75 gram 6.0 stiff flex graphite shaft with Golf Pride MCC Plus4 midsize grip. Original Rogue head cover is included. RIGHT HANDED/ ALDILA ROGUE MAX 75G STIFF FLEX. CALLAWAY GREAT BIG BERTHA EPIC 5-18 FAIRWAY. Callaway X Hot 3 Deep Fairway Wood, 3 Wood, 14.5* Project X 6.0, Stiff Flex ,Free Shipping. Good Condition, Includes Head Cover,Shipped with USPS Priority Mail. Manufacturer: Callaway. Includes wood club, cover. See photo's. Length: 43". Type: 3 Wood. 431 N Wright Brothers Drive. Item Condition: Used. Part Number:Unknown. RIGHT HANDED/ ALDILA SYNERGY 60G REGULAR FLEX. 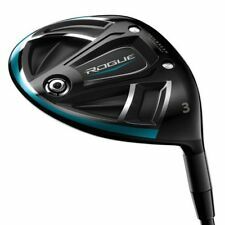 CALLAWAY ROGUE 2018 FAIRWAY WOOD 4.